Home / Entertainment / Is Alia Bhatt-Ranbir Kapoor to get engaged post Brahmastra? Is Alia Bhatt-Ranbir Kapoor to get engaged post Brahmastra? Deepika Padukone-Ranveer Singh, Priyanka Chopra-Nick Jonas, Sonam Kapoor-Anand Ahuja are enjoying their marital bliss. To add the bandwagon are the lovebirds of the town — Ranbir Kapoor and Alia Bhatt. Yes, you heard it right! Alia Bhatt and Ranbir Kapoor’s dreamy romance is taking the next logical step. The couple started dating almost a year-and-half ago and ever since there is no stopping. ‘Ralia’, as they are fondly called by fans, have got approval from the families. According to Filmfare, Ranbir’s mother and actor Neetu Kapoor wants the duo to exchange rings by June this year but the lovebirds don’t wish to rush into anything yet, reports The Statesman. Alia Bhatt and Ranbir Kapoor made headlines after they arrived together at Sonam Kapoor’s wedding reception in Mumbai. Recently, Alia rang in the New Year with the Kapoor family in New York. Recently, at Gully Boy trailer launch, Alia Bhatt was seen blushing when a question was asked on Ranbir Kapoor. 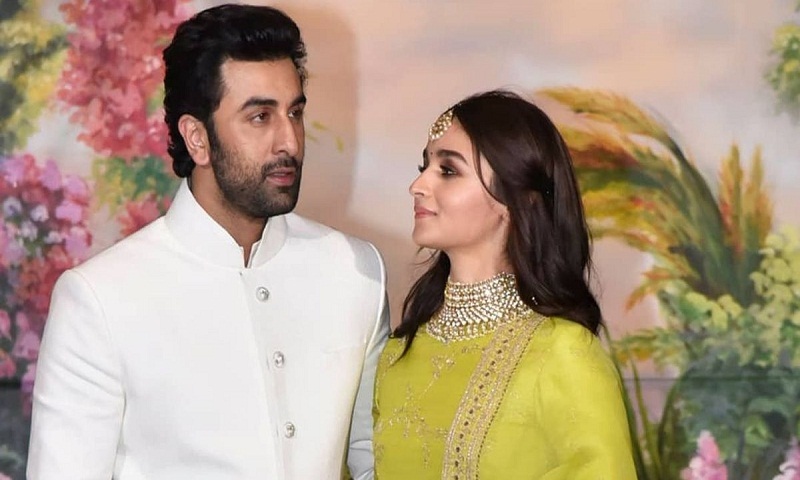 On Thursday, while en route to Delhi to meet Prime Minister Narendra Modi, Ranbir Kapoor turned into a protective boyfriend as Alia Bhatt was mobbed by fans. On the work front, Brahmastra starring Ranbir Kapoor, Alia Bhatt, Mouni Roy, and Amitabh Bachchan is all set to release on Christmas 2019.